It is economical and efficient for the drying operation to be carried out at low temperatures under vacuum, especially for dying sensitive material. The drying equipment is user friendly for easy wash and maintenance. The heat source (for example, low pressure steam or thermal oil) pass through the sealed jacket. The heat will be transmitted to raw material to be dried through an inner shell. Driving on power, the tank is rotated slowly and the raw material inside it is mixed continuously. The purpose of reinforced drying can be realized. The raw material is under vacuum. The drop of pressure makes the moisture (solvent) at the surface of raw material become saturate and evaporate. The solvent will be discharged through vacuum pump and recovered in time. The inner moisture (solvent) in the raw material will infiltrate, evaporate and discharge continuously. The three processes are carried out unceasingly and the purpose of drying is completed in a short time, at low temperature and without degrading the product. The Paddle Dryer is a cylindrical jacketed vessel with central shaft with blades, specially designed for it. 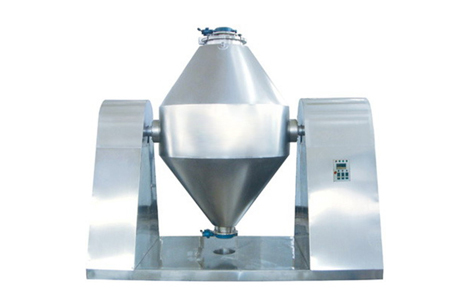 The blades of the paddle dryer are designed to create efficient homogeneous mixing of the ingredients and also all the particles are come in contact with the heated surface. Toshniwal Single Paddle Vacuum Dryers meet the various industrial drying requirements for temperature sensitive materials. Lowest energy consumption compared to any other batch type dryer due to high differential temperatures. 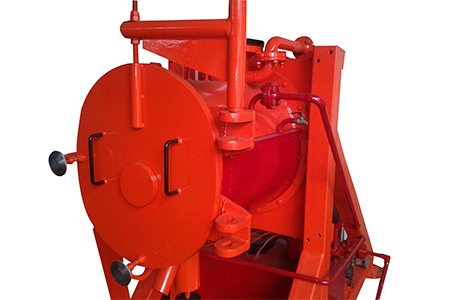 Shear Maker can be provided for de-lumping /de-agglomeration.